You surely had been searching for some good hotel offers for your summer vacations. It is quite sure you had something exotic in mind, maybe with a beach and all inclusive service. 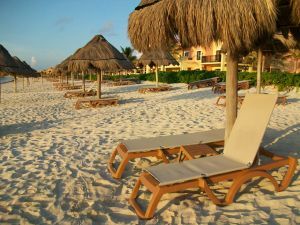 Now we have found you something you have to see for yourself to believe, your dream hotel in Mexico for an incredibly low price. Travel ticker has brought you this amazing hotel deal for as little as $75 per person per night, %50 less than the $149 regular price for the same resort. For this you will get a junior suit – with balcony and minibar – at the beachfront of Grand Sirenis Mayan Beach with all inclusive services. You can travel between 1 May and 30 June with no blackout dates. You can enjoy eight restaurants, seven bars two beaches, kayaking, snorkeling and many other activities. Don’t waste precious time, act before all the cheap hotel rooms are booked. Did you have in mind something else than Mexico? Look for other cheap hotel offers on Travelgrove’s hotel search. All you have to do is add your destination city, check in and check out dates and hit search. Then browse among tens of offers from many different providers and pick the one you like the most. This entry was posted on Tuesday, April 19th, 2011 at 3:51 am and is filed under Hotel Deals. You can follow any responses to this entry through the RSS 2.0 feed. You can leave a response, or trackback from your own site.